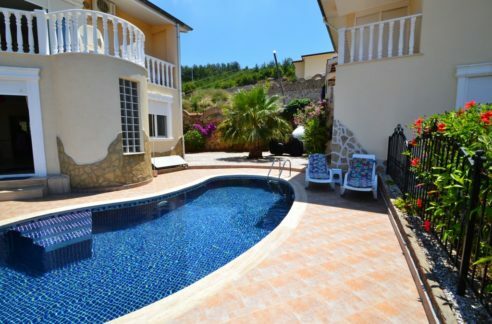 In Mahmutlar – Alanya, beautifully situated among banana and orange gardens you can find this beautiful villa with a fantastic roof terrace! 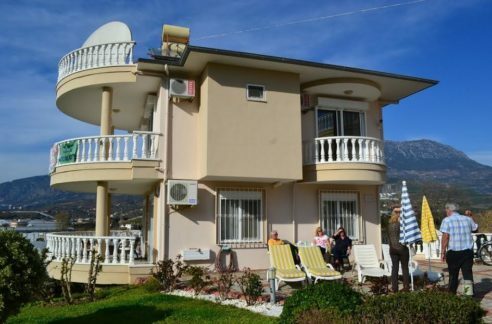 The villa have sea view and views to the beautiful mountains. 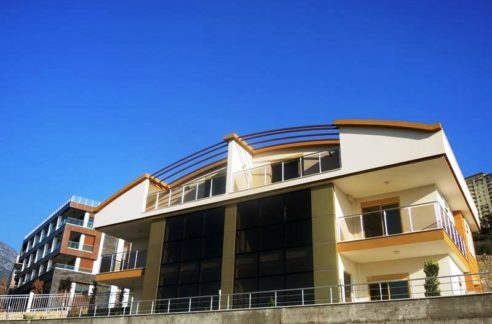 It is part of a very well maintained villa park. 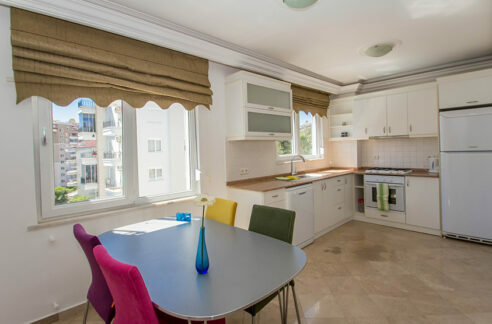 The price for this property is only € 149,000 fully furnished and with all appliances and air conditioning. 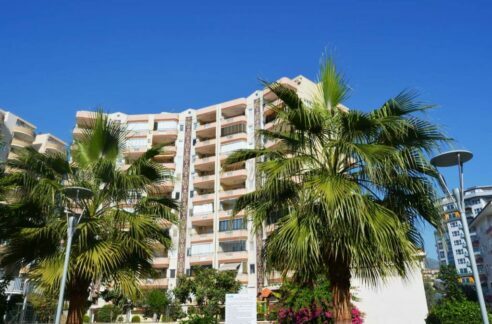 The property has a private landscaped garden designed for easy maintenance and the villa park gardener take care of the garden and the lovely communal swimming pool.